One would never know that the Ebola crisis is over in Liberia, and fast shrinking in neighboring Sierra Leone and Guinea, if one paid attention only to USCIS. Today, 9 May 2015, WHO declares Liberia free of Ebola virus transmission. Forty-two days have passed since the last laboratory-confirmed case was buried on 28 March 2015. The outbreak of Ebola virus disease in Liberia is over. 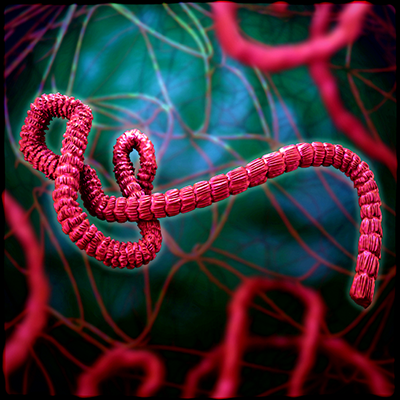 On the afternoon of May 12, USCIS held a teleconference promoting Temporary Protected Status (TPS) for aliens — legal or illegal — who were in the United States on November 21, 2014, and were from one of the three Ebola-impacted West African nations. The deadline for applications is May 20. TPS status is created by the government when it decides that a disaster of some kind has struck a nation or nations, and everyone from the area in the United States at the time becomes eligible for an allegedly temporary legal status. The problem, of course, is that TPS statuses for aliens from designated nations never expire. The Department of Homeland Security renews the TPS status every 18 months, or as Mark Krikorian put it some years ago, "temporary status means never having to go home." The agency would not answer my question on numbers, but gave detailed answers to questions about who is eligible for the program, how to apply, and how to obtain a fee waiver. I did learn something in the process, however, but first a bit of immigration history. I was curious as to the interaction of these two programs and the next participant in the teleconference fortuitously, asked about it. It turns out that if one has DED status one may — but need not — seek TPS status, provided, of course, that one is eligible. I would imagine that the government might as a matter of housekeeping roll the two programs into one, but that apparently is not the case. At the time that DHS created the three-nation TPS, I suggested that a far less sweeping ruling would be more appropriate. No, we do want to deport someone to one of those nations during an epidemic, but why not simply freeze immigration statuses for something like six months; why legalize everyone from those nations essentially for the rest of their lives?